Have you visited our Therapists page lately? 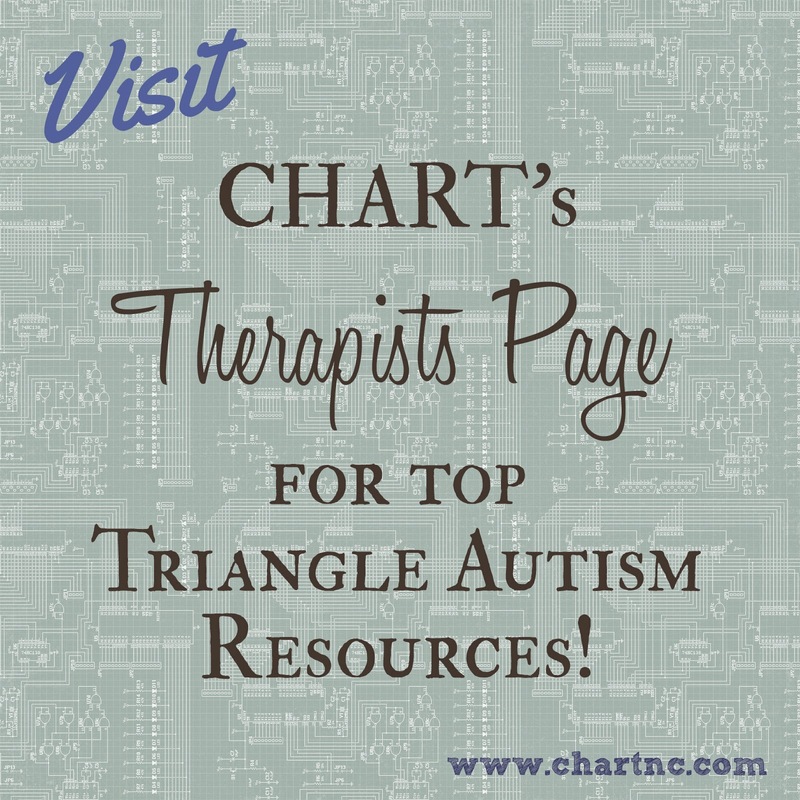 There we list a number of Triangle area therapists who specialize in working with children on the spectrum. You'll find speech pathologists, occupational therapists, developmental pediatricians, ABA, Floortime, and more. We're pleased to welcome the newest addition to the Therapists page: Developmental Therapy Associates. While new to CHART, DTA is not new to the Triangle - they've been working with families for over 30 years! They specialize in sensory integration therapy, speech therapy, and offer a whole host of other programs - learn more on the Therapists page. Know of a great therapist in Chapel Hill, Raleigh, Durham, Cary, Carrboro, or another part of the Triangle not on our list? Please leave a comment or send us an email using the button below. Thanks!